When I asked my mother what she wanted for Mother’s Day awhile back, she surprised me when she asked for Coty’s Muguet des Bois because I thought that she still wore Guy Laroche’s Fidji and Muguet des Bois was unknown to me. It took me awhile to find it. Luckily a department store SA suggested I try a drugstore and there it was… at an unbelievable price. I bought it for her for several years until I was told that Yardley had licensed the fragrance and the name had changed to Lily of the Valley. One particular year I simply couldn’t find it and when I called the head office in Ontario to locate their products, they offered to send my mother free-of-charge the cologne spray, the scented soaps and the talc powder. It was such a wonderful, generous act. I’ll never forget it. The current fragrance isn’t round like Roudnitska’s take on lily of the valley, Diorissimo, nor as beautiful. LotV is more angular and a little difficult to wear. Dosage is a factor and where you spray it might also be a dealbreaker for you. I would avoid spraying it too close to the face. I think it’s fun to wear but it isn’t a shrinking violet and it’s a little loud. Whether the original Muguet des Bois was wearable or not.. I don’t know… but the current Lily of the Valley by Yardley IS wearable and quite good considering its price. A librarian friend of mine, Mariouche, wears it and when we kiss hello it smells wonderful on her. It wakes up your senses… it simply smells like spring. Just go easy on the atomizer. Diana Vreeland : There are entr’actes. 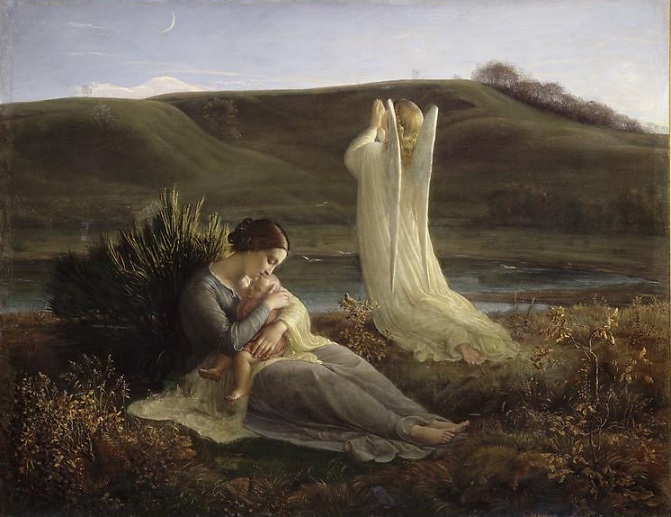 How appropriate that this post should come out just after Mother’s Day as I always associate the smell of Lily of the Valley and in fact all Yardley products with mothers. Yep… Lily of the Valley and Lavender! In fact, there were some years when I went to buy Yardley’s Lily of the Valley later in the fall because my mother’s bottle had run out and the sales associate used to tell me to come back around Mother’s Day! It’s a classic! So: Yardley’s Lily of the Valley is the former Muguet de Bois? Really? I never knew that. How long ago would you say the license happened? I know Yardley has been selling a LotV for years. I only ask because in a small way I’m a follower of Yardley products. For many years their April Violets was my mother’s signature fragrance. She died a few years ago and I have been doubly saddened to notice that AV was taken off the market. Yardley re-introduced it last year and finally just yesterday I saw some at a pharmacy. Bought it immediately. It is very good, better than I remember, actually. Thanks for thet comment. I reread my original post…” I was told that Yardley had licensed the fragrance and the name had changed to Lily of the Valley” and I’m wondering if the information I received from the drugstore attendant was true. We’re talking at least 10 years ago and this was a time when I considered that whatever I was told by the perfume counter attendant was the “absolute truth”. You know… it seems inconceivable that Yardley wouldn’t have had a lily of the valley of its own. Maybe what the attendant meant was that the drugstore had simply replaced one for the other. I remember my mother telling me that she preferred the Yardley version… but I also remember that the bottle and box were absolutely identical to the Coty version. Even the label was identical except for the name changes. Maybe it was just a Canadian thing? Any perfumistas out there that can enlighten us on this? Sorry to hear about your mother’s passing away. What does April Violets smell like? I’ve never heard of it! Hmmm … now I’m intrigued. 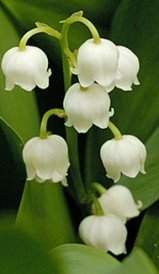 According to Perfume Intelligence (http://www.perfumeintelligence.co.uk), Yardley introduced a Lily of the Valley in 1920, discontinued it at an unknown date, introduced another LotV in 1981, discontinued THAT at an unknown date, and re-introduced a re-formulated version of the original in 1994. Meanwhile Coty’s Muguet de Bois also has a complex history going back to the early c.20, but was discontinued in 1995. Hard to say if there was a realtionship between the Yardley LotV of the 1994, and the old MdB. The Yardley brand has changed hands many times, so it all gets a bit complex. One nice thing about all this is the amount of info on the internet, not all of it realiable perhaps, but plenty to build up a bit of a picture of what was going on withbout having to rely on SAs! Anyway, I’m going to give the Yardley Lily a sniff this week, as I’ve seen in the shelves for years but never tried it. April Violets is a wet (ie bot candied) Parma Violet soliflore but there are also geranium and iris and other notes. Beautiful, a bit melancholy, and I suppose rather dated now. Very good, especially considering the price. Great sleuthing!!! You see… the 1995 withdrawal of Muguet des Bois by Coty and the reintroduction of Lily of the Valley by Yardley in 1994 coincides with about the years my mother wore them. That makes COMPLETE sense. Your attitude towards April Violets in that you find it “very good, especially considering the price” will probably take you to the same space I am with Yardley’s Lily of the Valley. Diorissimo is obviously more beautiful, more developped but considering the price of Yardley’s Lily of the Valley, it’s totally wearable and quite good. Thanks for all the extra research! I HAVE BEEN SEARCHING FOR THE FRAGRANCE LILY OF THE VALLEY BY YARDLEY FOR THE LAST FIFTEEN YEARS . PLEASE COULD YOU SEND ME INFO AS TO WERE I COULD PURCHASE THIS FRAGRANCE . It depends where you live but you can always buy from the Yardley website. I had a French friend in high school in 1959 and she wore MdB. So I’m trying to find the perfume now (having given up on finding the friend). so. Is the Yardley stuff as good as the Coty stuff or not? PS: My granddaughter’s name is Lily. Only a coincidence. And my HS friend’s name was Pat Bart. She was born in Morocco because her parents were fleeing the Nazis during WWII — and the family somehow ended up in San Bruno, CA. Yes… I found that the Yardley Muguet des Bois was (and still is) EXACTLY like the Coty one was.